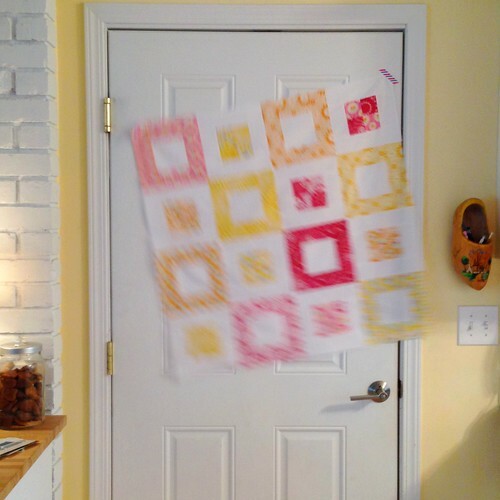 First things first… QuiltDad is my homeboy. Oh man, I love this guy. 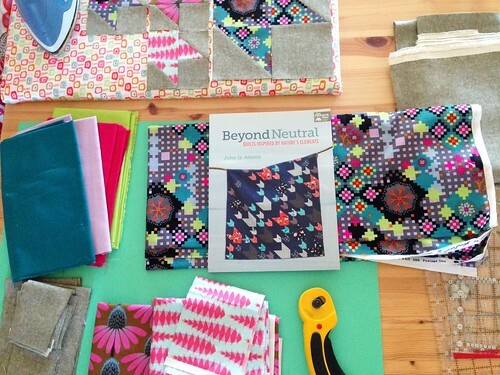 I’m telling everyone he wrote Beyond Neutral: Quilts Inspired by Nature’s Elements just for me. 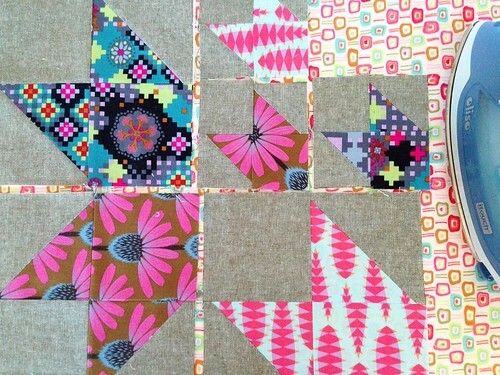 I love making quilts that focus on fabric and that look complicated but are simple in construction. 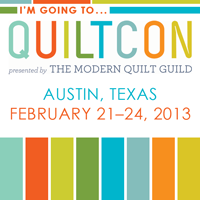 In other words, quilts I can make that don’t require a lot of my concentration or, um, reading. Not that John doesn’t write with lovely words, but I’m a read-by-illustration person. Words are hard. Pictures are easy. So thanks John for writing this book for me, and pretty cool of you to have plenty of copies for others, too. And it gets better - John’s publisher is giving away an e-book copy to one of my readers (more info at the bottom of this post). 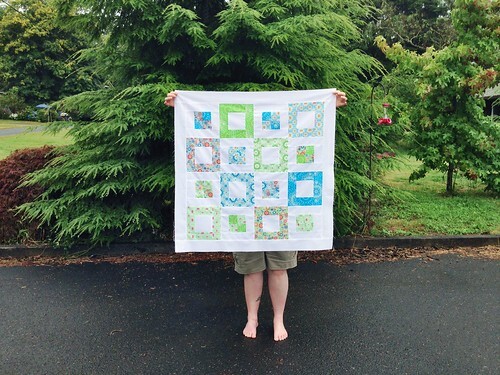 I’m so smitten with the cover quilt - Pacific Crest. Crazy smitten. 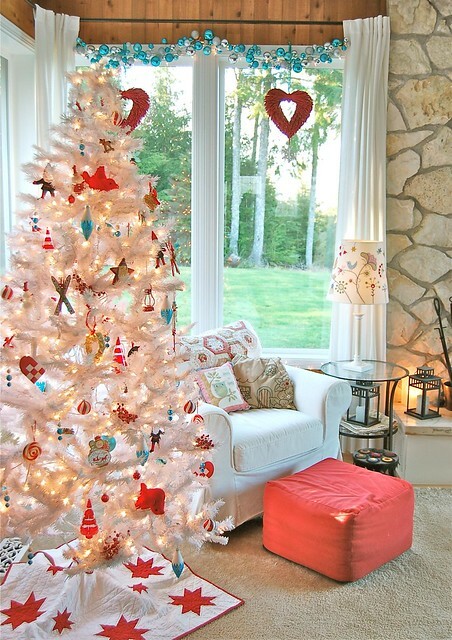 I even love all the fabrics and colors John chose. 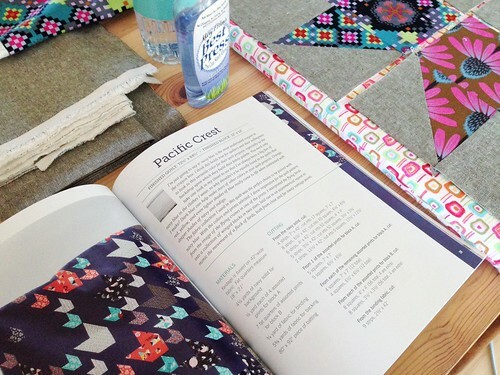 John writes in his book that Pacific Crest is, “… an asymmetrical repeat to mimic the movement of a flock of birds…”. It totally looks like a flock of birds, but when I saw it I immediately saw sunlit sparkles on water atop darting fish, most specifically Pacific Ocean water which is just a few miles from my front door. And then my mind immediately went to fish tacos. 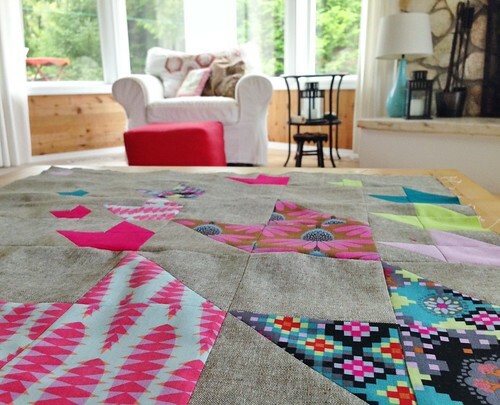 What I especially love about the quilts in John’s book is that the patterns are what I think are easily adaptable to modify and personalize, which is something I like to do 99.5% of the time when I make someone’s pattern. 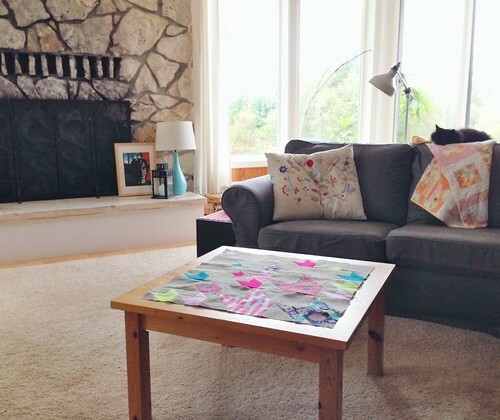 I set out to make a giant placemat/mugrug (<— just for you, homeboy) for my living room coffee table. With John’s cutting instructions and a stack of yummy fabrics consisting of Anna Maria’s Dowry and Pretty Potent, Robert Kaufman Essex olive and Kona solids, and Moda Bella solids - I went at it. 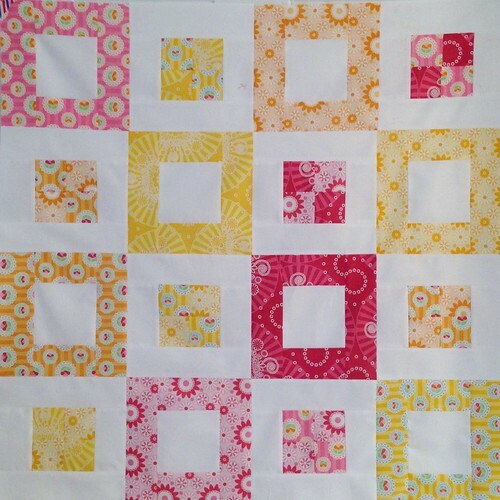 I got a little giddy when one of my smaller blocks (with the Echinacea print) ended up having some seam-magic with it’s bad self. 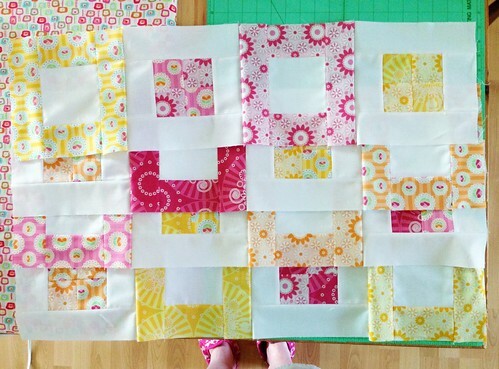 I had an s-ton of fun making all these little blocks. 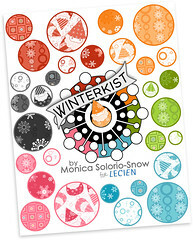 So pretty and so fun to make. And the olive Essex goes so beautifully with Anna Maria’s prints. I may be just a tad addicted to Anna Maria’s Dowry and Pretty Potent collections. I’ve bought it 4 times now, and no doubt will be buying more. I did the same thing with Totem from her LouLouThi collection. When I fall in love I fall hard. Tah-dah… my Fish Tacos table mat! Next I need to quilt it - so I can bind it. 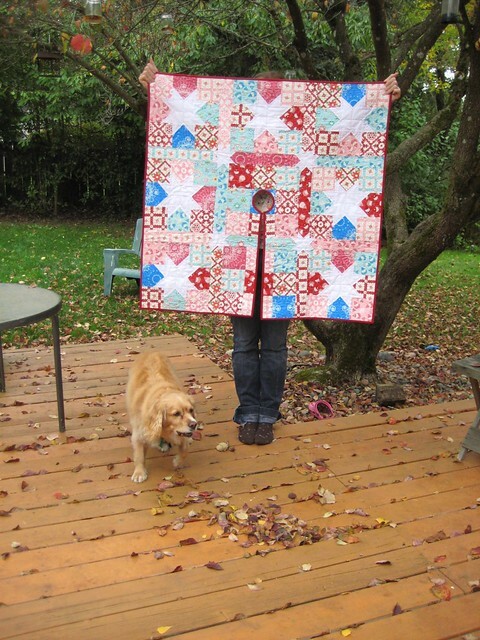 I think 80% of the quilts I make are for the sole purpose of having something to hand bind. Up top, fellow hand binding lovers. I’m not sure yet how I’m going to quilt it. 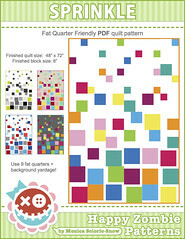 Not that I don’t not have an idea of how - but this pattern screams so many possibilities. 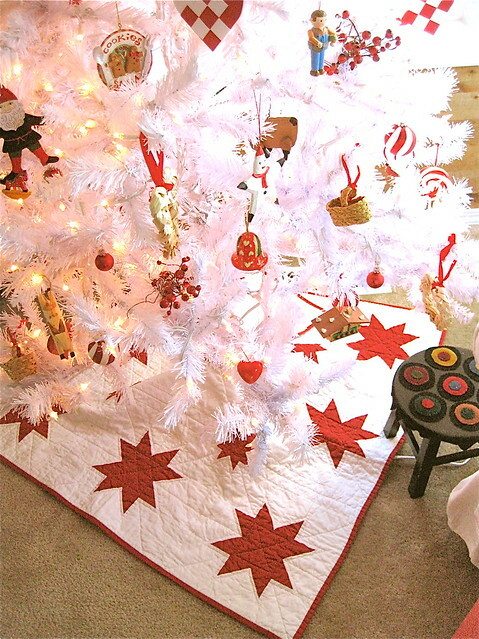 Which is another thing I love about John’s quilts is that they are easy for me to come up with quilting ideas. 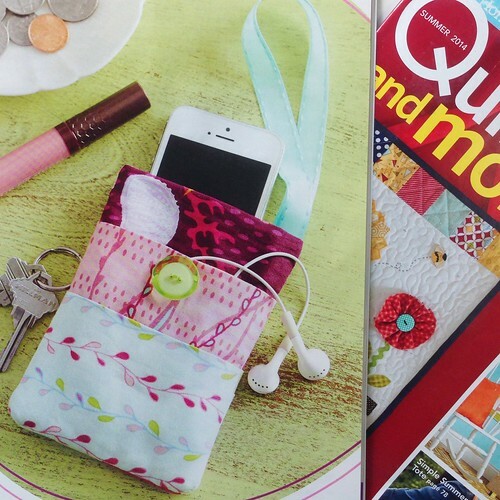 Often I find myself not knowing or seeing how I’m going to quilt something, so I could not be more tickled to have quilting possibilites dancing in my head. Thanks, John! – Anna Maria Horner’s Dowry and Pretty Potent collections. John’s publisher is giving away an e-book copy of Beyond Neutrals. 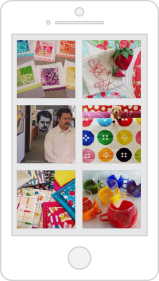 To enter, leave a “QuiltDad is my homeboy” or something like “I’d love to win a copy” comment on my Instagram post here. I’ll draw a winner Friday, Sep. 26, 10am PST. You really need this book so give it a go. Be sure to check the Beyond Neutral Book Tour for more blog posts and more chances to win a copy! Click here to my Instagram for comments/to comment or to enter giveaway. Sometimes I wonder what it’s like to be one of those artists who paints on a piece of rice. I wonder how much equipment they have to lug around, how many supplies they need, what they use to haul around their goodies. 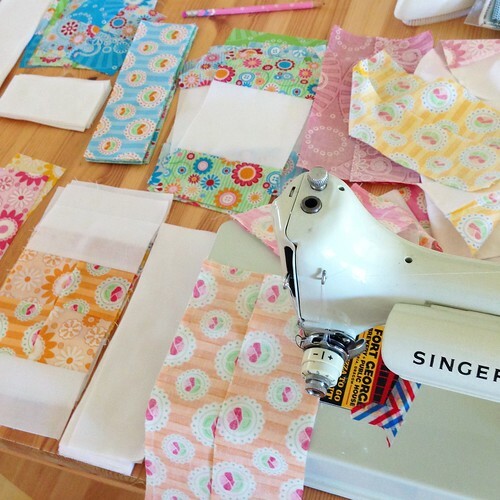 And then I slap myself and think how much I love every piece of equipment and fabric that fills my trunk to the brim for a few glorious days of quilting and sewing with friends. I bet a rice artist doesn’t get to make cool handmade gear for travel, either. 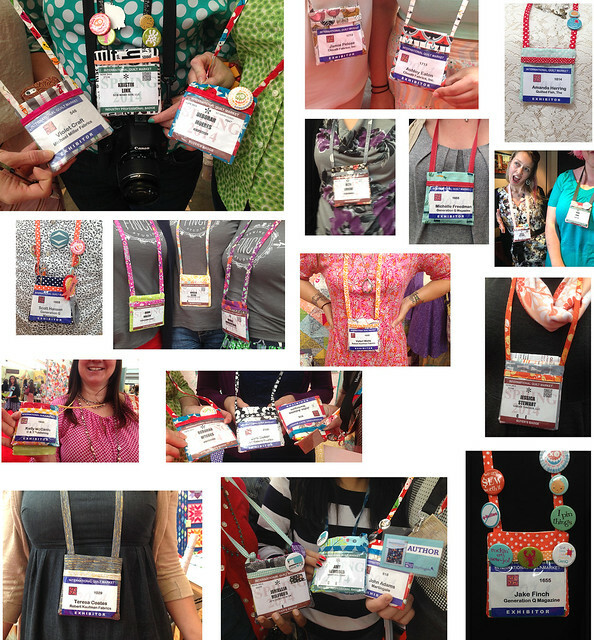 At work, at play, at anywhere you want someone (or anyone) to know your name. 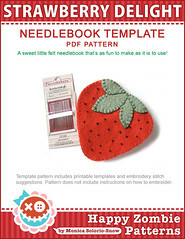 My PDF pattern is available here. 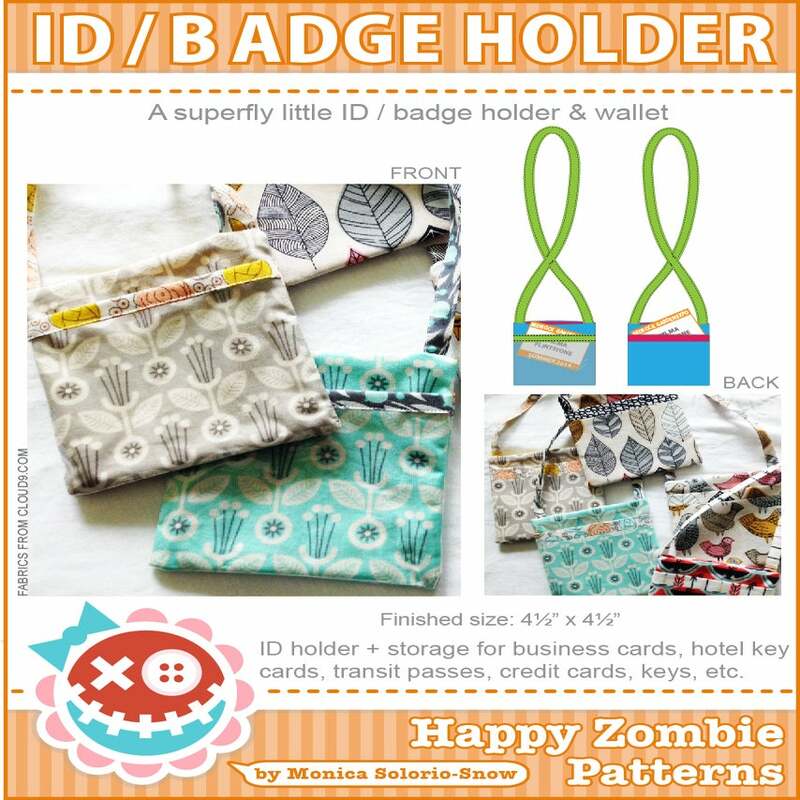 My little ID/Badge Holder pattern was made and spotted in the wild at the Spring Quilt Market in Pittsburgh, PA this last May. 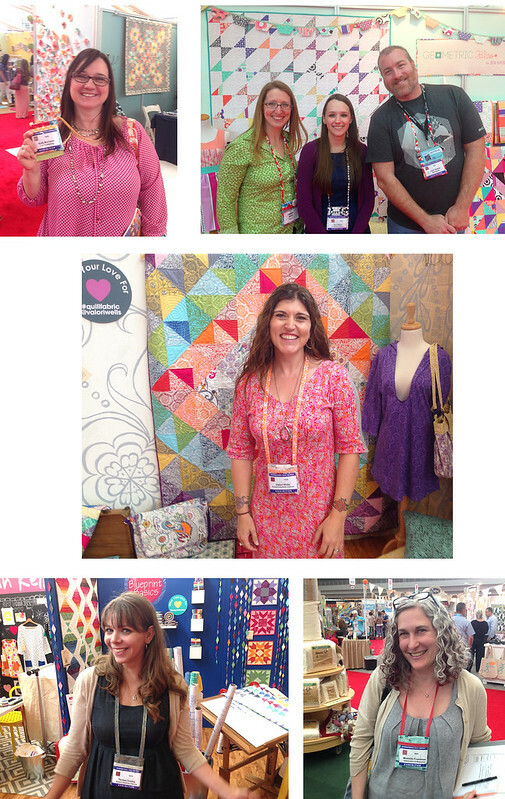 Loving all the people who made it and all the yummy fabric combos used. 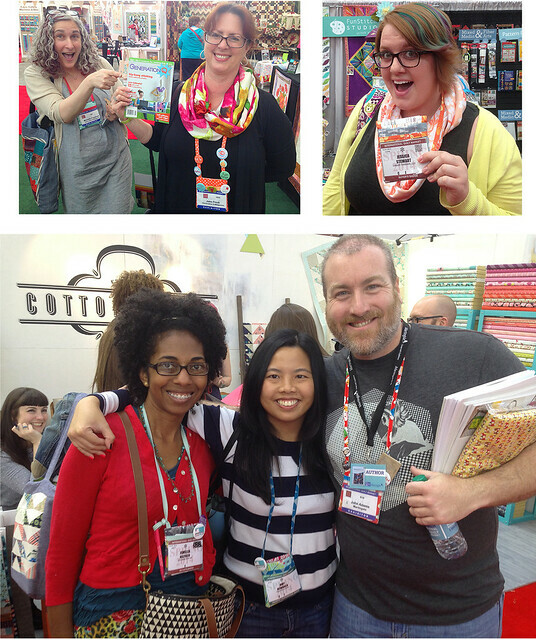 Such a thrill to see all these super-fly, beautiful people wearing the ID/Badge Holders! I recently found out about a do-something-good quilt making event for the new NICU at Providence Portland Medical Center through my guild (the Portland Modern Quilt Guild), so on the fly I wanted to jump into action and make a quilt. Problem was I didn’t know what to make. 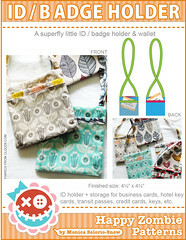 So I came up with a simple plan and whipped up an itty bitty quilt. I wanted my quilt to be meaningful and full of effort, but I also wanted it to be quick as well. 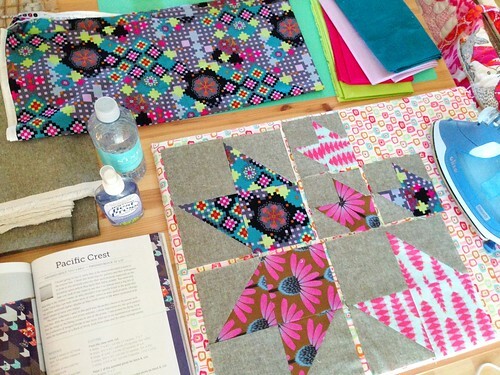 Seems like every time there’s a do-something-good quilt making opportunity there’s not a whole lot of time involved, so I thought I’d share my cutting instructions. Patchwork hundreds of fabric pieces together and you snuggle one baby. 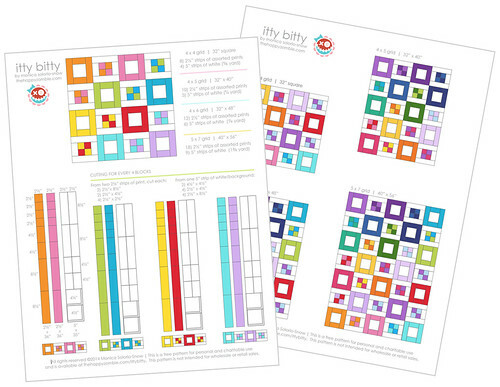 Share a baby-quilt pattern and hundreds of babies get snuggled. Tiz my hope. It’s not a rocket-science pattern by any means, but hopefully it’ll be a project that others will want to do as well. Fast and yet meaningful, and stitched with love. 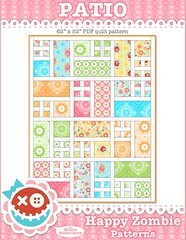 I came up with the itty bitty quilt, and I also wanted to make fabric gathering a simple task, too. 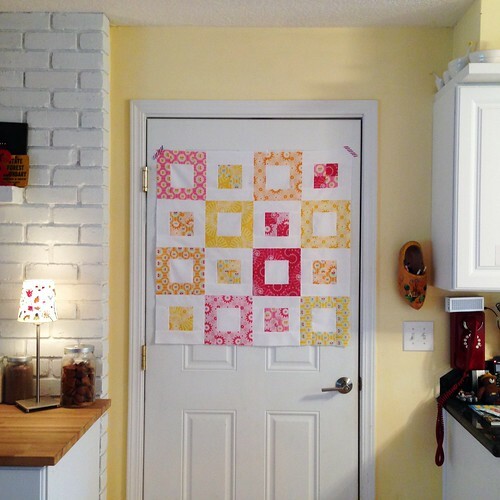 Two 2½” strips of print fabric + one 5″ strip of background fabric = four 8″ finished blocks. … and the other in by-land-and-sea colors. 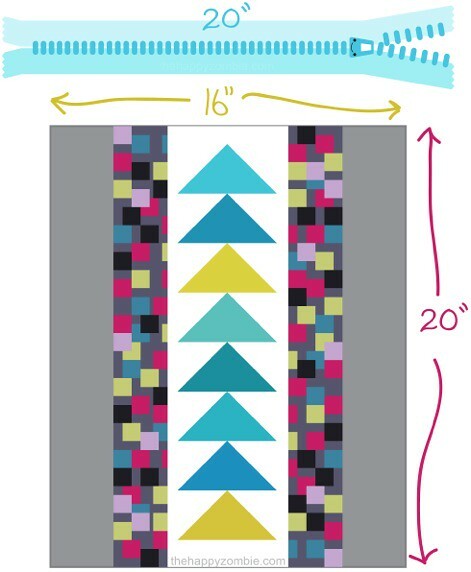 The quilt requirement for the Providence quilt is 36″ square, so I’m adding a simple border on my 32″ square quilt to plump it up to 36″. 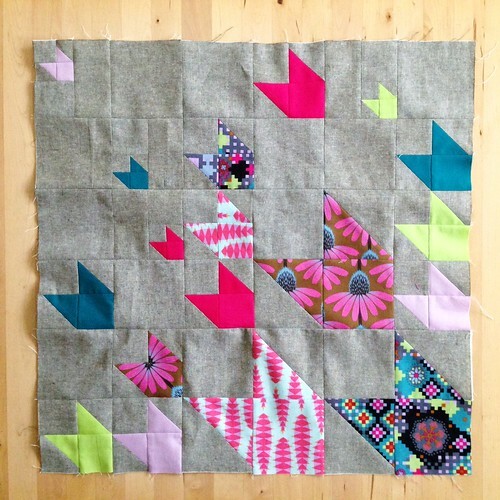 What’s also nice about this pattern is that each block can be alternated in direction so no seams need to be met on the blocks when joining them into rows (and then joining all the rows). 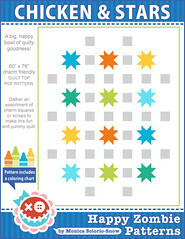 Perfect for beginner and young quilters. 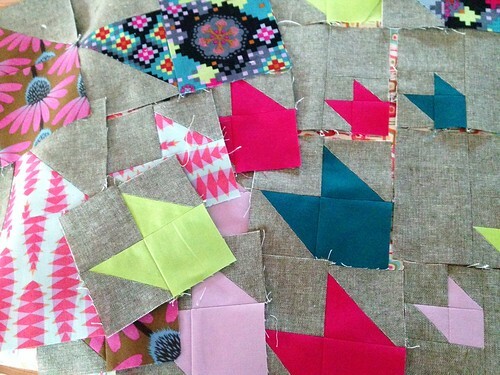 I think it would be fun for youth groups (any groups, for that matter) to make itty bitty quilts for some nice do-something-good project. 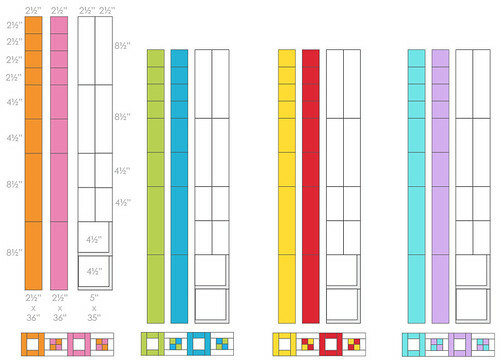 I have a cutting chart/alternate sizes in PDF format available here. 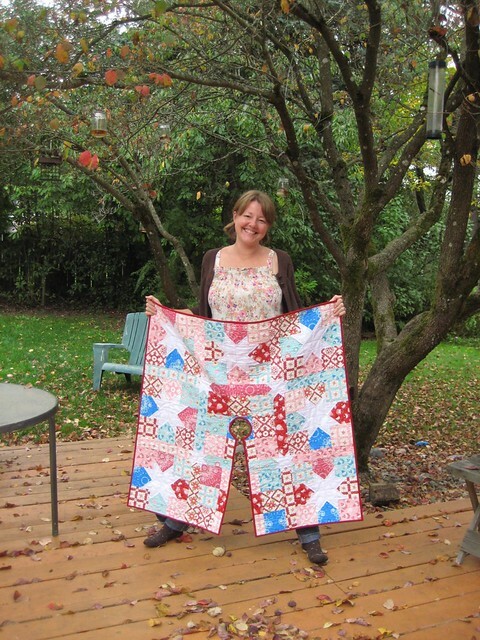 My intention is to provide a free, simple, and meaningful option for anyone who wants to make a do-something-good charity quilt or just make an itty bitty quilt for a teenie weenie person you love. 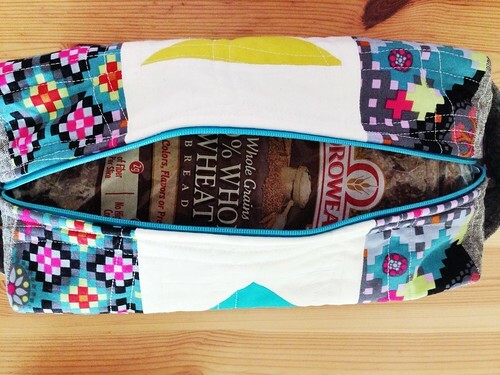 I bought a new travel-iron, so first my order of business was to make a cozy, protective bag for it. 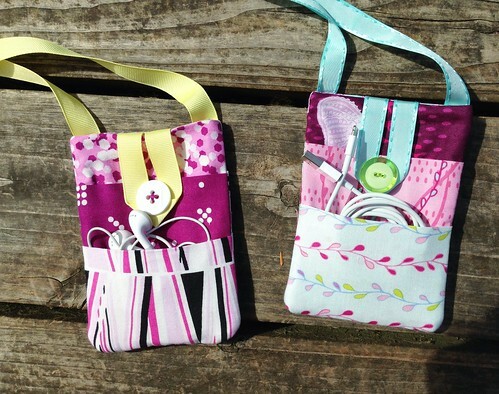 Pretty much the iron was an opportunity to make something cute and useful. 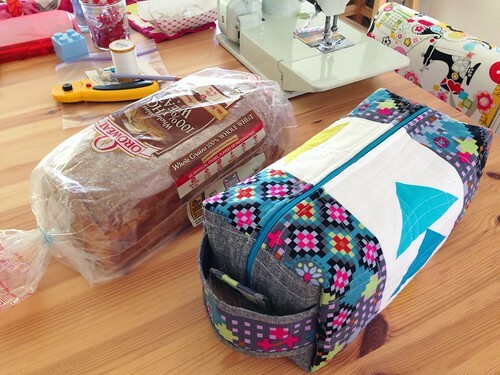 There are 18 gazillion patterns and tutorials for box bags, but the tutorial (by Stacy Schlyer) I found most helpful is from the PBS show “Sew It All“. The tutorial is short and to the point, and the illustrations are clear and easy to understand (huge thumbs up to the illustrator!). 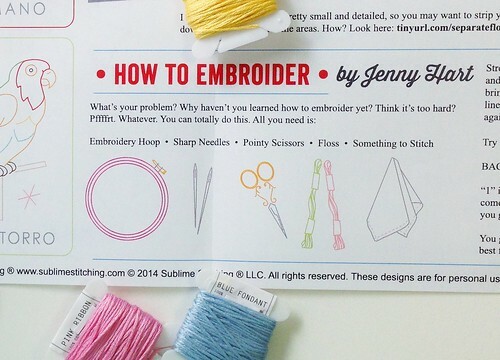 I read by illustration so this tutorial was perfect for me. 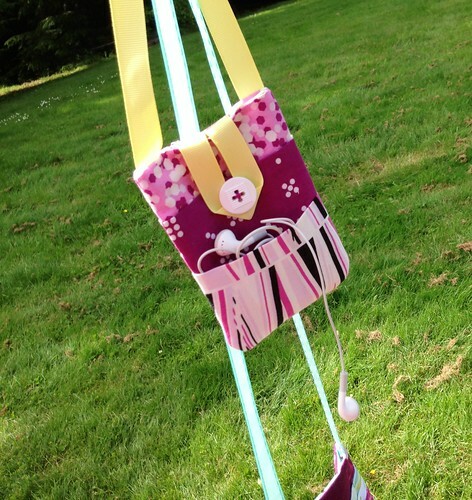 I used my own measurements and made a jumbo, super-sized me bag. 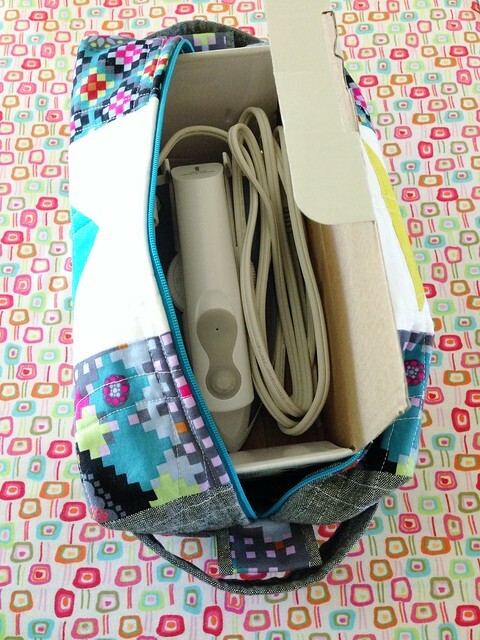 I measured around the box my iron came in and then tinkered with muslin-ish fabric to yeild a just-the-right-size bag. 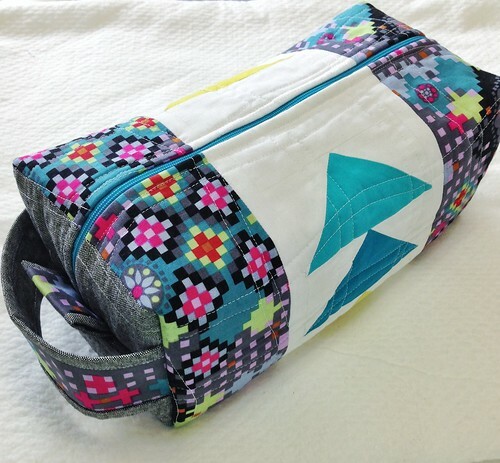 I made my outer bag by serendipitously/making-it-up-as-I-went-along into a small quilt top. I then sandwiched it with batting and a muslin backing and machine quilted it. 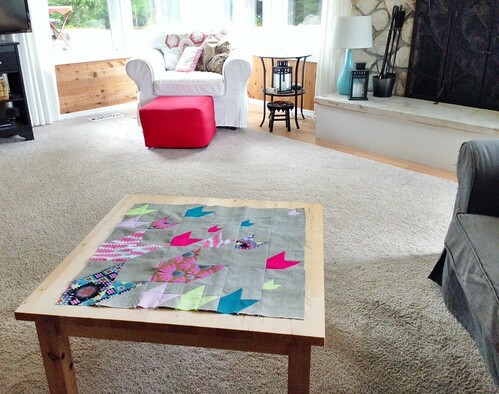 I trimmed it to 16″ x 20″ (and also cut a matching piece of fabric for the liner). I used a 20″ zipper for the 16″ edge (that I bought at zipit - the best zipper source ever) which gave me lots of room for trimming. Probably overkill, but I always am in need of wiggle room. Always. After some sewing (and un-sewing and re-sewing), I finished my bag. It’s a perfect fit for my travel iron and it’s box. 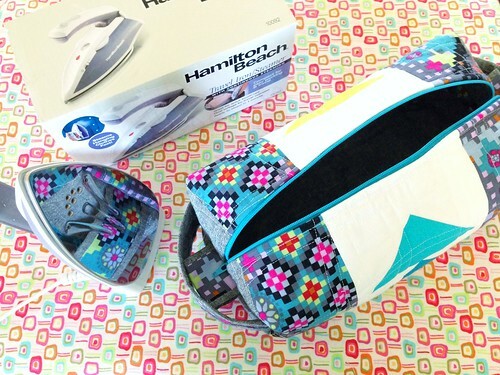 Of note, I LOVE my Hamilton Beach travel iron. It was an impulse buy as I was totally glamored by the shiny sole-plate and the low price (under $20 USD). This iron is so good I’ve been using it at home as an everyday iron this week. My Oliso is jealous. When I finished I thought, dang, this box is as big as a loaf of bread. Sure enough, it’s the exact size of the Costco version of an Oroweat loaf. And of course I had to check. Curiosity may kill the cat, but I’ll be a rock-star if I’m ever invited to a sandwich pot-luck. – Anna Maria Horner’s Postage Due (Kaleidoscope) from her Dowry collection. 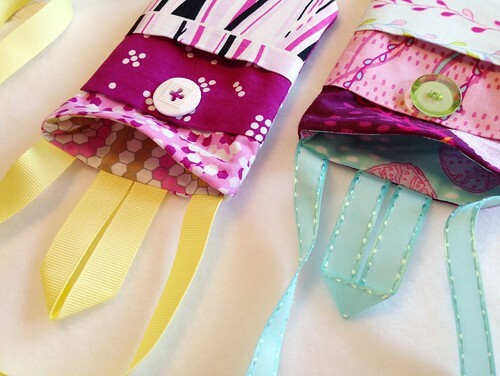 It’s Sew Yummy Day at Fabric Depot! 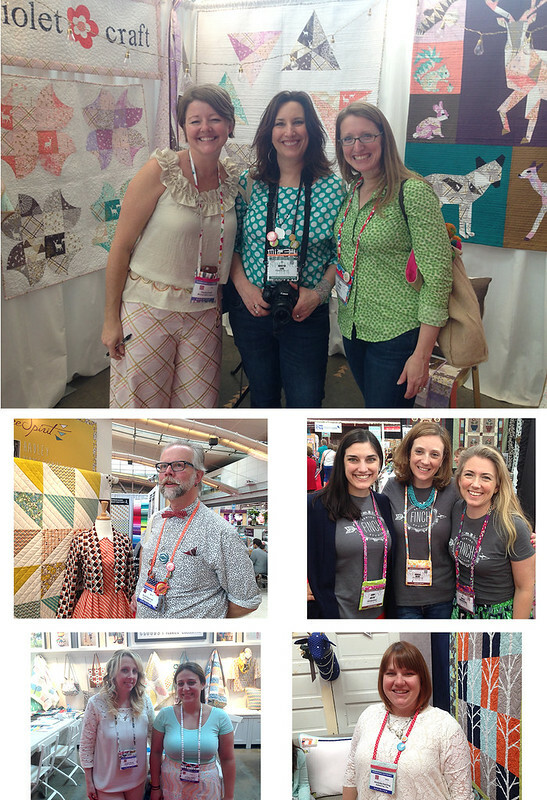 Come hang out from noon to 2:00 on 18 July 2014, at Fabric Depot in Portland for a little meet-n-greet with Michelle Engel Bencsko (Cloud9 Fabric’s Creative Director) and me! 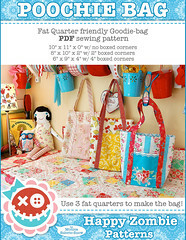 We’ll be chatting, talking about fabric, and sewing, and showing my new Sew Yummy collection and saying hello. Won’t you come? 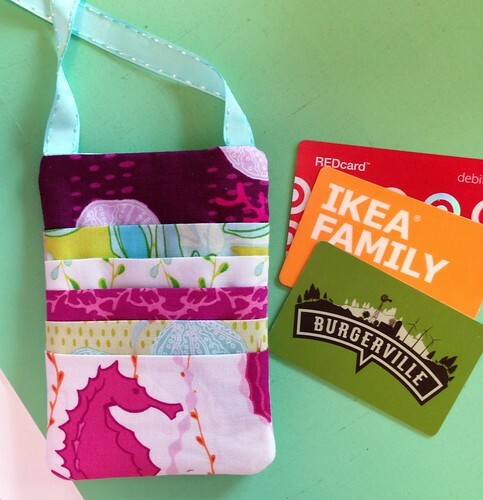 I’ll have a few Sew Yummy goodies, too! 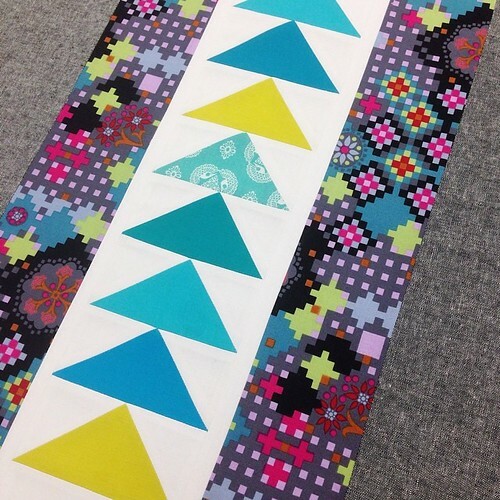 Read all about our visit on the Fabric Depot blog post. 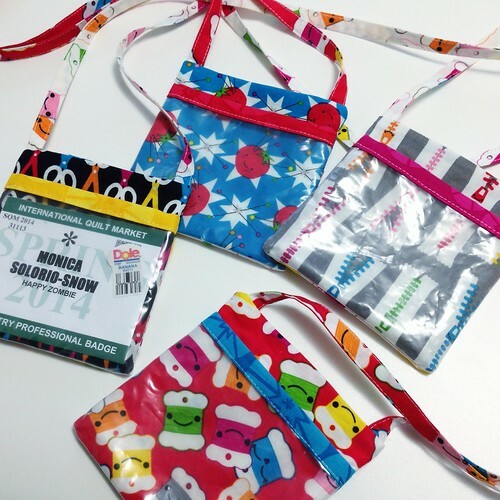 Oh, and did I mention that Sew Yummy will be available for purchase the first time ever in the history of the world at Fabric Depot on Monday?!! 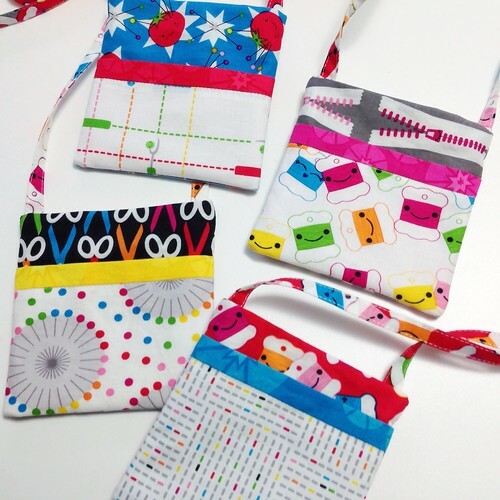 Yup, Sew Yummy is getting it’s cherry popped at Fabric Depot! Hope to see you there! The last time I was at Modern Domestic I picked up some Clover embroidery needles to try out. 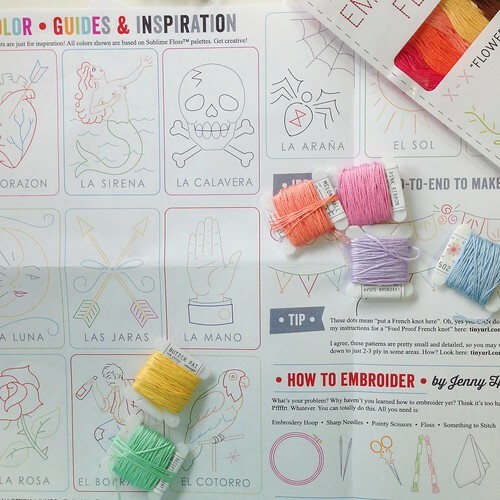 I’ve been using Peacemaker embroidery needles for over a decade now, but I’ve gotten so tried of their lack of availability. 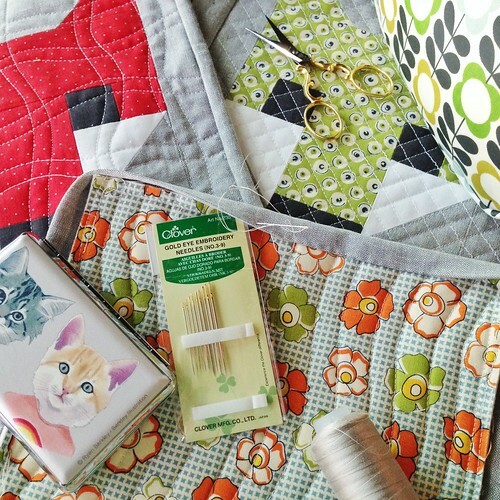 So I gave the Clover Gold Eye needles a try on the binding of my #fancyfoxquilt block potholders. Oh boy, am I glad I did! The Clover needles poke through the fabric like soft butter. So dreamy. I’m using the No. 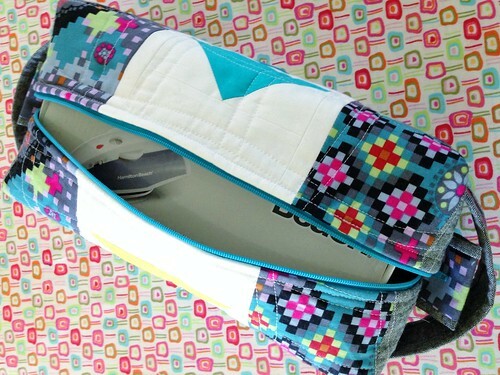 9 for binding and it’s perfect! Functions like a straw or milliners needle, but has the muscle of an embroidery needle. Who knew a tiny little needle could bring so my joy! My clever son MacGyver’d a "painting rig" and it’s mad awesome. 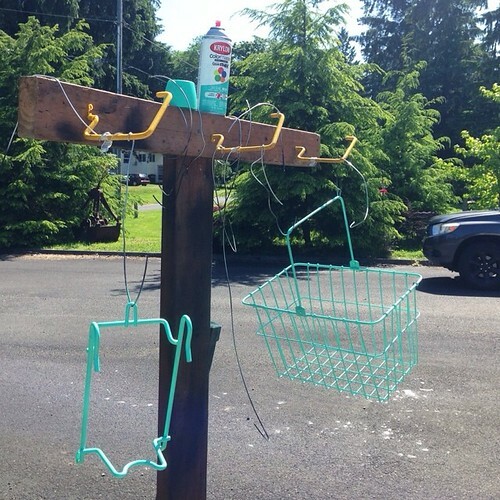 My crusty old white bike basket is now Sea Glass green (from Krylon). Everyone needs to make a painting rig. I’m so digging my new Mexican Loteria stitchery from Sublime Stitching! 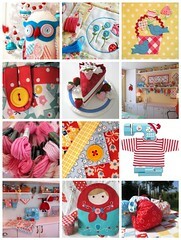 And I’m especially diggin’ the “all you need” drawings of the hoop, needles, scissors, floss and “something to stitch”. 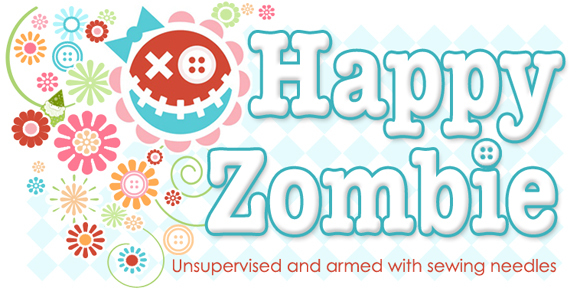 I think I’ll embroider those, too! Love, love, love!